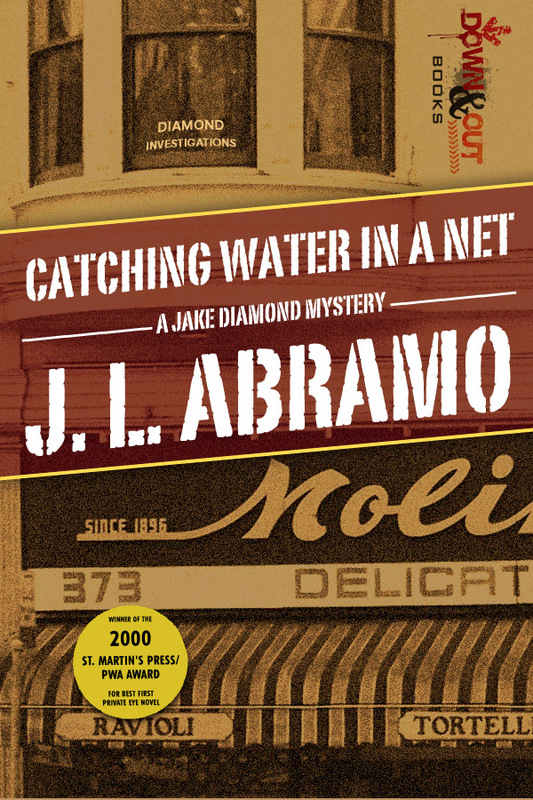 Meet Jake Diamond, a San Francisco PI who is more over-easy than hard-boiled, needs lots of help but is afraid to ask, has a very difficult time keeping his neckties stain free, guzzles bourbon and antacid with equal ineffectiveness, and can’t get enough of Dickens and Dumas. As much as he could use the work, Jake is not anxious to take on the case of a missing husband. Jake has learned from experience that being a missing husband is not necessarily a bad thing to be, particularly if the husband in question is a murder suspect. Jake’s friend and mentor, Jimmy Pigeon, who inspired Jake to trade his Screen Actors’ Guild card for a private investigator’s license, had taught Diamond well. “Whenever I’m asked to locate a missing spouse,” Jimmy said, “the words no, but thanks for asking always come to mind.” Jake is all set to live by those words until he discovers that the murder victim was Jimmy Pigeon himself. Determined to discover the identity of Pigeon’s killer, Diamond scrambles between Los Angeles and San Francisco following leads that range from weak to delusional. With the help of his trusty and sarcastic assistant, Darlene Roman, compulsive gambler Vinnie Stradivarius, and Italian-American ‘businessman’ Joey Russo; Jake slowly uncovers the motives behind the death of Jimmy Pigeon. Along the way, Jake trips over the bodies of a few other hapless victims, dodges mob hit men and over-zealous police detectives, and finds the case swimming with characters from his past. You can find the Kindle edition here while the Nook version is here.